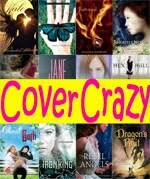 Cover Crazy is a weekly meme hosted by Tawni at The Book Worms where a beautiful cover is featured each week for all of us to admire. I am going to use my Cover Crazy posts as an opportunity to review a book cover I love or review any cover (even the ones I don't love) from a book I've read. 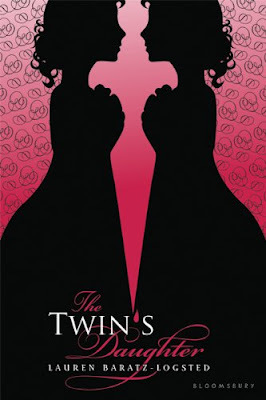 This week's Cover Crazy is for a cover I both love and have read the book: The Twin's Daughter by Lauren Baratz-Logsted. 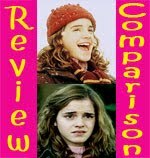 (My review of the book). The Twin's Daughter is a tale of deception, murder, and, of course, twins. It is only fitting, then, that the cover features elements representing each of these features. The twins face off against one another in a way that could be both friendly and adversarial. The fact that they are silhouettes and so we cannot see their true faces helps to obscure whether their intentions are friendly or malicious. This plays upon the deception between the characters that is a key focus of the novel. Their silhouettes create a dagger shape between them, again underscoring a more malevolent relationship between the sisters. However, the fact that the dagger isn't actually drawn but instead is created by the negative space between the characters further drives home the feelings of mystery and deception: It is there, but it is subtle and only visible upon close inspection. The apostrophe in the title serves double duty as both an apostrophe and a drop of blood falling off the knife. Just like many events in the book, the apostrophe serves as something innocuous and easy to overlook, yet closer inspection reveals something much more sinister. The swooping font used for "Daughter" compliments the feminine and innocent narrator (the daughter), whereas the hard and stark white lettering used for "Twin's" perfectly reflects the relationship and mystery between those two characters. In many ways, the daughter and her relationships serve as polar opposite examples to the relationships the twins have with others and one another. The opposing fonts used here to represent the three characters mirrors this contrast. Without knowing anything about the book, I was drawn to the cover's hot pink background contrasted with the striking black silhouettes. The color combination was eye-catching, and the very modern pink stood out against the more Edwardian-era figures and curlicues. The curling script in the title seemed enticing, and the contrast between the two fonts piqued my interest. I like stories about twins, and I was curious how the violent images worked in the story with the feminine characters, font, and color. I love hidden pictures, so I also got a kick out of the girls/knife illusion. This was one of those lucky instances where I loved both the cover and the book. The Twin's Daughter is a standalone book. Wow! That's quite an analysis of the cover. You picked up on SO many details I totally missed. I enjoyed reading your thoughts and getting some really good insight into the design of this cover. Great job. Thanks :) I'm really glad you liked reading it. By the way, I'm a new follower, I would appreciate if you followed back! That's really cool that you were able to interview the author. 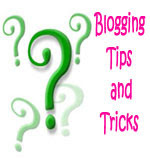 I'll have to stop by your blog and check it out. I've read this one and The Education of Bet and really loved them both.